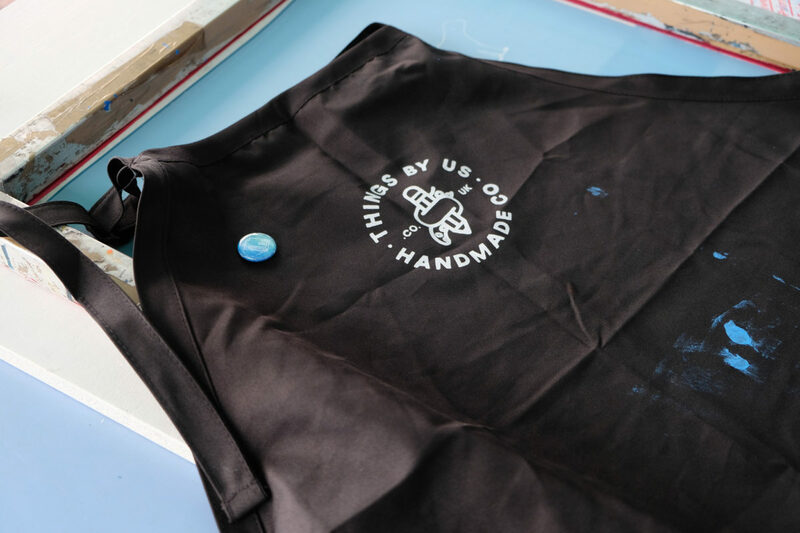 It’s been a while since we’ve done any screen printing, so it was fun that our first time doing it again since our travels was for a workshop at Liverpool Print Fair. Having had a lot of fun sending postcards from all around the world, we thought it might be nice to print something based on home. 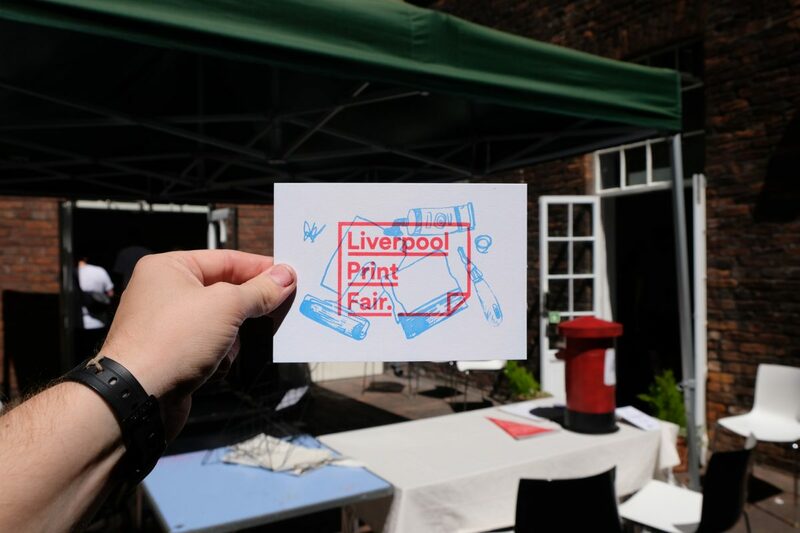 We created six illustrations and six type options based on the great city of Liverpool which people could choose from for their postcards. 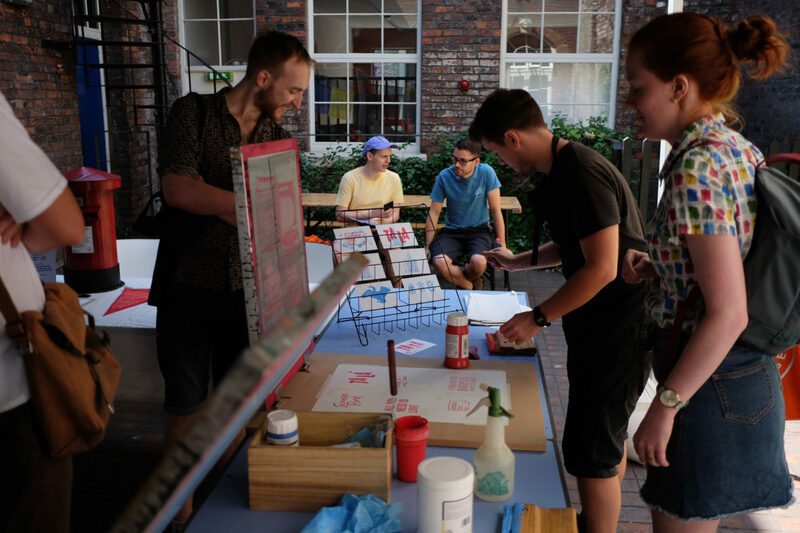 The workshop went down really well and it’s always fun showing people how screen printing works. Just giving people an idea of what they could do with their own art, or even showing people the work that goes into a print is pretty rewarding. 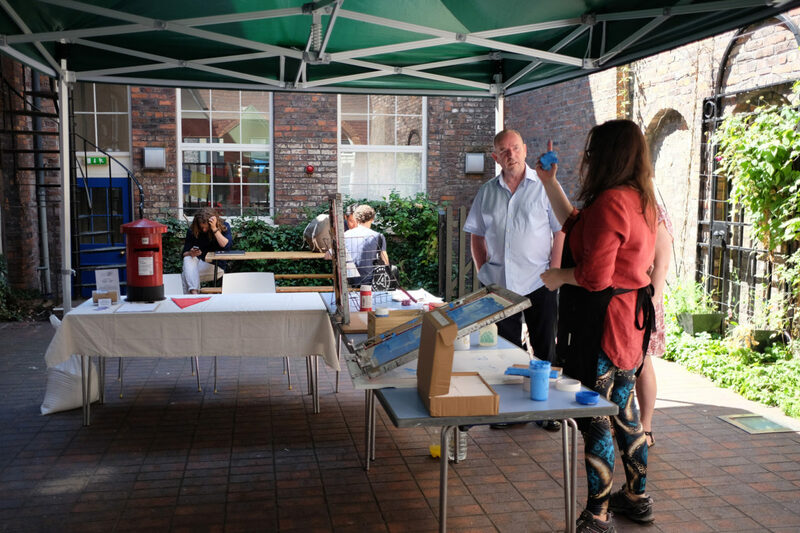 Mark got so excited about the workshop that he even built our very own postbox which anyone could use to send their postcards in. I’d go into detail about the process, but it’s so good I think it deserves its own post.